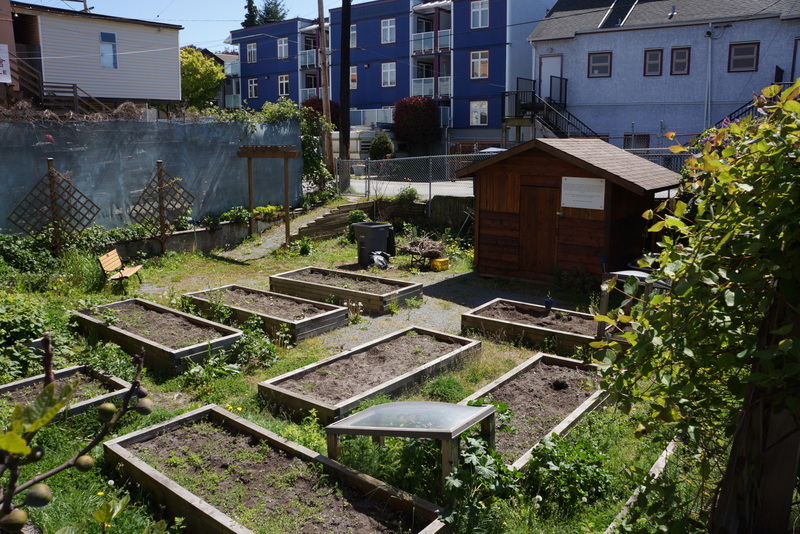 Projects in Place designed and participated in the construction of a new garden for the Atira Women’s Resource Society’s Rice Block community and the local community. 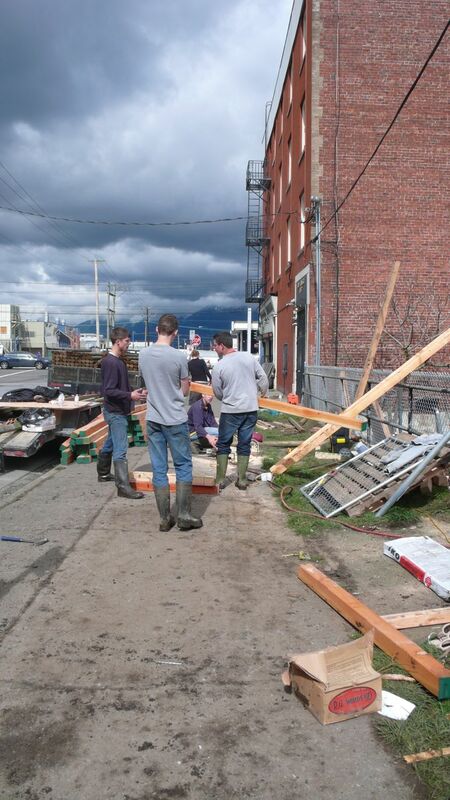 The site is situated behind the Rice Block building on Hawks Avenue in Vancouver. It used to be a vacant lot filled with trash, construction debris, drug paraphernalia, and an old house foundation. The design solution sought to create a space to grow organic produce to subsidize the meals for the shelter, and to provide an urban oasis for people to relax and enjoy themselves. The design incorporates: raised planter boxes, a patio, a garden shed, compost bins, fruit production and mixed perennial planting beds. 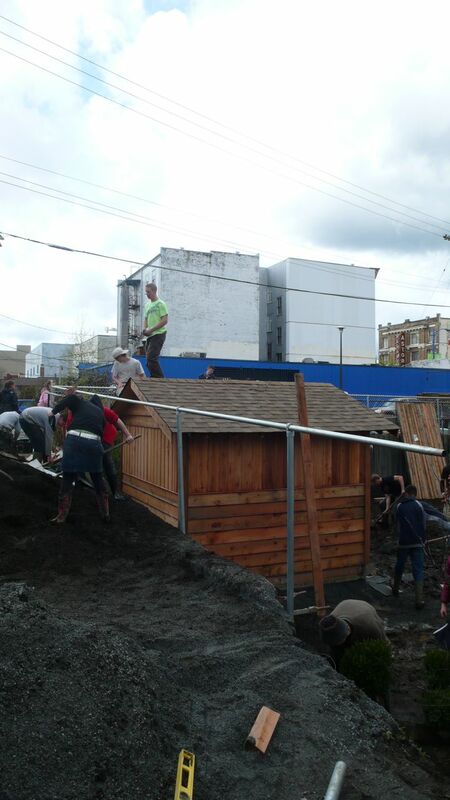 The bulk of the construction group was a Grade 11 class from a school in the Fraser Valley. They were very gracious to donate their time and energy to get the job done. Overall, the project was a great success. Exciting relationships were formed, all participants contributed unique skills to the project’s development and together we implemented a positive, lasting change in the community. "Projects in Place has provided reliable and professional service. Our green roof is weeded and maintained once a year and as a result is healthy and beautiful."